Build an expert empire and career by monetizing what you know. Have you ever wanted to make millions as an author, speaker, coach, seminar leader, or online trainer and thought leader? 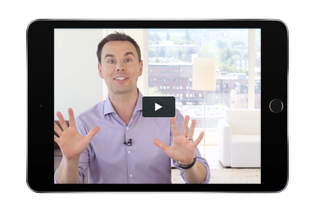 How did Brendon Burchard and the world’s foremost experts, “gurus,” and motivators build multi-million-dollar expert empires? How do they position, promote, and get paid for their advice, knowledge, and wisdom, often starting from scratch? Learn step-by-step in this free video series. How can you become more confident and capable of achieving your goals faster and more effectively? How do you influence others? What can you do to stay on top of your game, and join the world’s most successful people? Learn these topics and more in Brendon’s online courses! Brendon Burchard is one of the highest paid speakers in the world, and he’s shared the stage with Tony Robbins, Jack Canfield, Deepak Chopra, Sir Richard Branson, the Dalai Lama and almost every leading contemporary business, marketing and personal growth guru in the world. What are his secrets? He’s teamed up with Roger Love, the #1 voice coach in the world, and Bo Eason, a Broadway actor and physicality coach, to bring you the most advanced and innovative speaker training in the world. This is your opportunity to receive the highest-level coaching certification in the world. Certified High Performance Coaches gain the transformation and marketing tools needed to build their own highly successful coaching brand. Spots are limited. 3 FREE videos reveal how to share your advice, monetize your experience, and build your online brand.